Loaded Chipotle Sweet Potatoes & Kale with Pickled Radishes are fun, healthy, and filling toppings for classic avocado toast! A perfect vegan snack or main. I know – avocado toast is SO over, and even if it weren’t, you don’t need a recipe for it. This trend might be on it’s way out, but you’ll still find me (and pretty much everyone else on Instagram) happily smashing & snapping away. I usually keep mine simple – avocado, lemon, salt, pepper, and a sprinkle of hemp seeds. It’s a perfect combo that doesn’t need to be messed with, but since this was “dinner toast” for us one night last week, I thought I’d get a little fancier with the toppings. (Also, Jack is still claiming that he doesn’t like avocado, but if I hide it a little, no complaints). This chart of ingredients looks a little fussy, but most of these are pantry staples and items that I happened to have on hand. For example, the adobo sauce (our favorite addition here) comes from a leftover can of chipotles that I had previously opened for this chili recipe. So feel free to use and re-use whatever you like. Send me your winning combos and, together, let’s keep this trend alive! Chop your sweet potatoes in to small cubes. Drizzle with olive oil, salt & pepper, and roast them in the oven or on a cast iron skillet. Oven: 400 degrees for about 20 minutes. Skillet: brown the edges in the skillet for about 10 minutes. If potatoes are not cooked through, add a little water, cover, and let steam until they're fully cooked. Toast your bread. Use the back of a fork to smush avocado onto it. Add a squeeze of lemon and a pinch of salt and pepper. 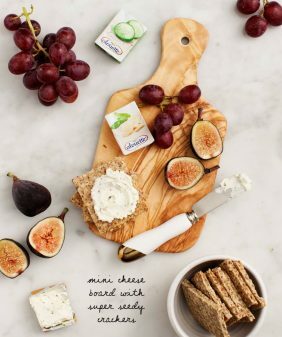 Add toppings as pictured or however you like! *Find these in the Mexican aisle of most grocery stores. Make this gluten-free by using your favorite gluten-free bread. i eat avocado toast almost every morning. i think it’s the perfect way to start the day. I will never ever tire of avocado toast! I love sprinkling homemade dukkah on mine. 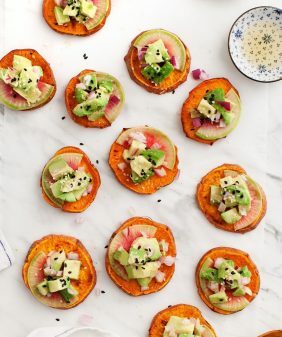 But this sweet potato version sounds incredible! That adobo, must try. I hope avocado toast is never over! It’s so tasty! Love it! In the summertime I could eat avocado toast with tomatoes, olive oil and Maldon salt every day. I am obsessed with avocado toast and eat it almost daily. I like avocado mashed with olive oil, garlic salt, and a bit of fresh lemon juice. I top it with chocolate cherry tomatoes and chives and then drizzle some siracha on top. 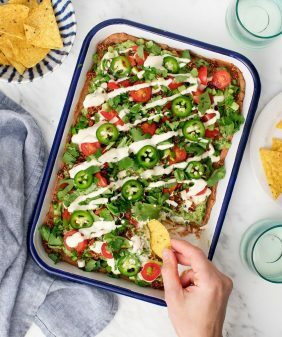 Avocado toast may have had it’s 15 minutes of fame, but I am ALWAYS looking for new twists on it! This one was definitely original and sound delicious. Interview with a Sommelier – Champagne Facts You Need to Know! 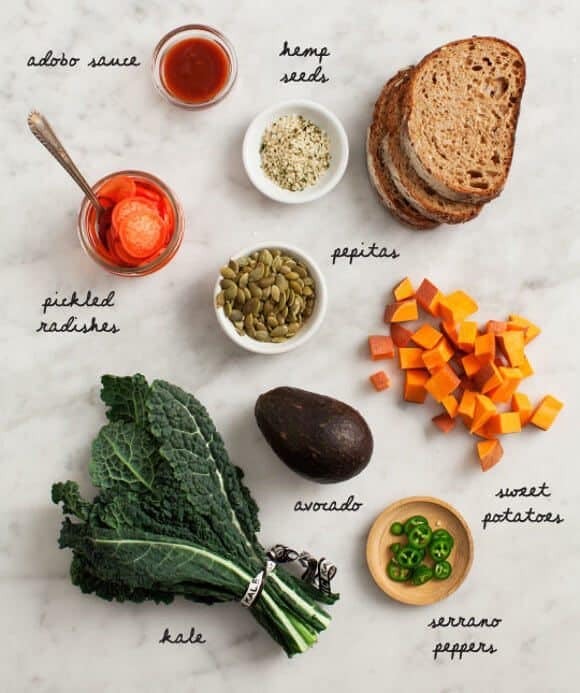 Love the addition of sweet potato!! YUM. Avocado toast could never be over! I never get tired of seeing new, unique ways to make a (now) classic combo into something interesting. Looks delicious. I need to stop reading your recipes when I’m hungry! Seriously! 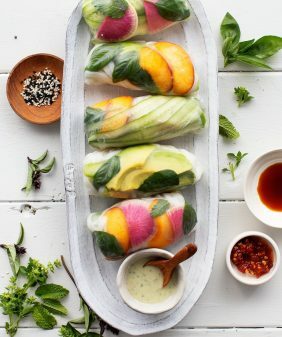 These look like a great lunch! This looks delicious and so healthy! Always love a good a toast. And this one looks phenomenal! 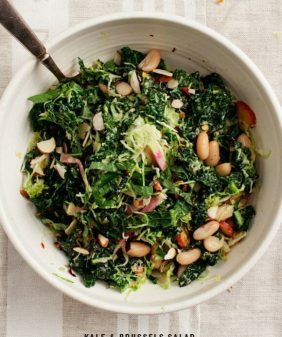 I love this combo and it makes such a gorgeous, versatile snack or lunch! I am so not over avocado toast!!! Top it with an egg or these potatoes or just simply with CRP flakes and lemon zest, any way I am in!!! Hemp seeds? Worth a try? 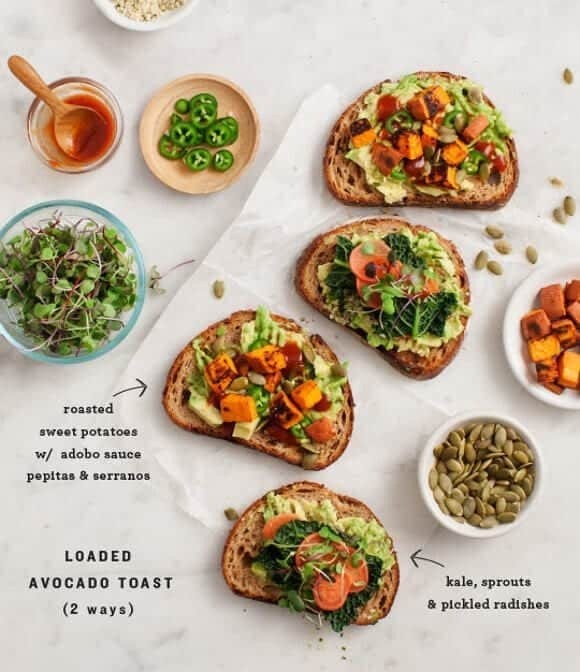 You’ve elevated toast to a whole new level for me and I’m loving the combo of sweet potato and avocado. Now why haven’t I combined those too? I have something a little embarrassing to admit. I’ve never had avocado toast. (I wish I had the ability to type that in a very small font so it was like typing a whisper.) The truth is that I don’t have a good explanation for it. I love toast, I love avocado, and I love food trends, but maybe I’ll just jump on it soon and pretend like avocado toast and me were always best friends. I Love this combo, can’t wait to try! I could eat avocado toast all day everyday and never tire of it! Definitely loving this version as well! What a keen idea! It’s quick. Something different than a sandwich. Also can use left over sweet potatoes. Bingo—it takes good too. That is some loaded toast! Yum! 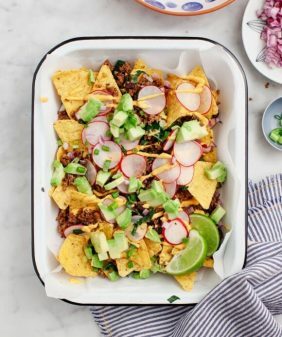 This is an excellent recipe, thank you for sharing., I love an explosion of flavors.